If you build iOS applications, you may have come across Auto Layout. Auto Layout is a constraint-based layout system that gives developers the ability to create interfaces that respond to the changes in screen size and device orientation. With the varying iOS device sizes, Auto Layout is very important as we will be able to design not for specific screen sizes but have layouts that are designed to fit into whatever screen size it they loaded in. Some developers shy away from using Auto Layout because it seems intimidating at first, but once you understand how it works, you will probably not be able to imagine how you have coped without it. In this tutorial, we will learn the fundamentals of Auto Layout. We will learn how we can use Auto Layout when creating layouts for our application. We will not be using Swift to define Auto Layout constraints as that is an advanced method, but luckily, you don’t need Swift to benefit from Auto Layout. As mentioned earlier, Auto Layout is a constraint-based layout system. It gives developers the ability to create interfaces that respond to the changes in screen size and device orientation. When building an application, you will more often than not, create views. Views come with a fixed width and a fixed height. This means that no matter on the device we view the application on, the view we created will have dimensions that will always be fixed. While having fixed dimensions is necessary sometimes, when designing layouts for other devices, we need to make sure the views look good on every screen size. Since there are many screen sizes and resolutions, we cannot use fixed widths and heights. This is why we need Auto Layout. Now that we know what Auto Layout is and why we need to use it when building iOS applications, let’s dive deeper. To get started, let’s create a sample project. We will use this sample project to play around with Auto Layout. Launch Xcode and click Create a new Xcode project. 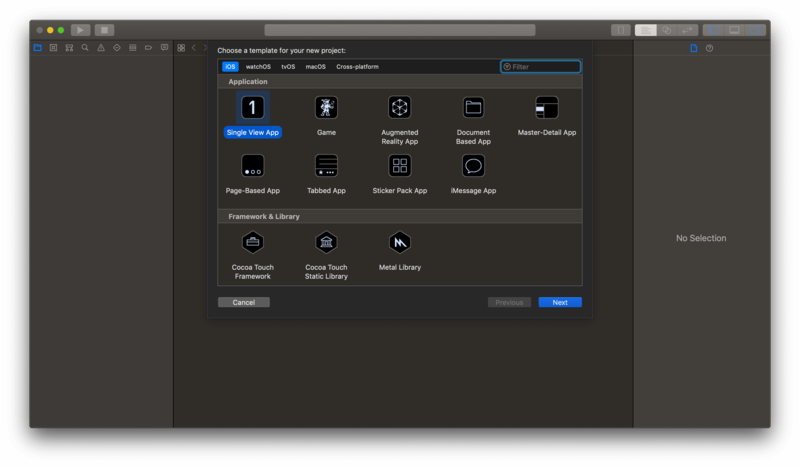 Next, select Single View App in Xcode. Manually set the frame of the view. Let’s consider them one after the other. The frame of the view is a rectangle with the X and Y coordinates and a size which is the width and height. We can manually set this to a view in the layout by dropping a view into the storyboard, setting the width, height, X and Y values using the Size Inspector. As you can see from the screenshot above, we have a view that starts at 0 on the X-axis, 0 on the Y-axis and is 240px in width and height. By doing this, we have set the frame of the view manually without using any layout techniques. If you run the project in a simulator, you will notice that the view will be exactly in the same position with the same size as specified earlier. As you can see, manually setting the width, height, x and y coordinates makes the layout predictable. You have control over how each view will look and be positioned. No surprises. However, when making views for several device sizes, you may need to change the frame of the view every time a change occurs. You may also need to set the frame for every single view. This can get tedious and time-consuming quickly. Setting the frame of the view manually should be avoided when possible as it brings rigidity which will always be a problem for applications that are being run on different screen sizes. Before Auto Layout, the current layout system on iOS, views were resized using the springs and struts layout system. A view’s width and height are its springs which can stretch. The struts are the view’s distance to its container. You can imagine that the view is ‘sitting’ on the struts, held in place, to determine the view’s position. The view’s springs can stretch as necessary to determine the size and shape of the view. In plain terms, the autoresizing mask is a property of the view that defines its resizing behavior. All views come with an autoresizing mask by default in iOS. 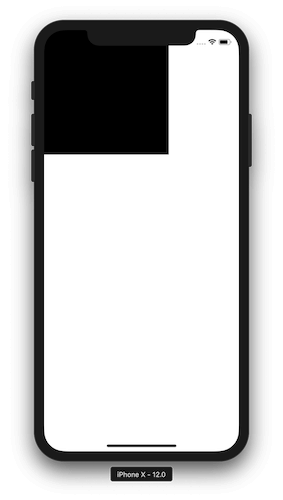 When the screen size increases or decreases, the autoresizing mask determines how the view resizes in reaction to the change. In the main storyboard, select the view we created earlier and then select the Show the Size Inspector button. In this section, you should see the autoresizing mask menu for the view. We can change this to however we want the view to be resized based on changes in size. While this may seem like a good option, it is a lot more limited in functionality when compared to the power of using Auto Layout. Unlike the previous methods, Auto Layout does not set the view position or size explicitly. Instead, it uses constraints to define relationships between views. This gives us more flexibility as there is no fixed width and position for any view, rather, it gets its width, height, x and y positions from defined constraints between other views. When the application is run, the constraint engine will calculate the position and size of the view using the defined constraints at runtime. Because of this, the view responds automatically to changes in the layout or size. Every time there is a change, the constraint engine will recalculate the constraints and resize or reposition the views as needed. So with constraints defined, if the device goes into landscape mode from portrait, the constraint engine will invalidate the previously calculated layout, inspect the constraints again, and then recalculate the constraints. Next, click the Add 4 Constraints button to add the constraints to the view. Now run the application and then change to landscape view. You should see the view expand based on the constraint we defined earlier. You can also change the simulator device and see that it will still respond to the different screen size without issues. Great. Looking closely at the constraints we defined earlier, we can note a few things. We added three constraints which instructed the constraint engine to always make sure the Spacing to the nearest neighbor matches what we set. Then we set a constraint to make sure the height stays at 240 no matter what changes. 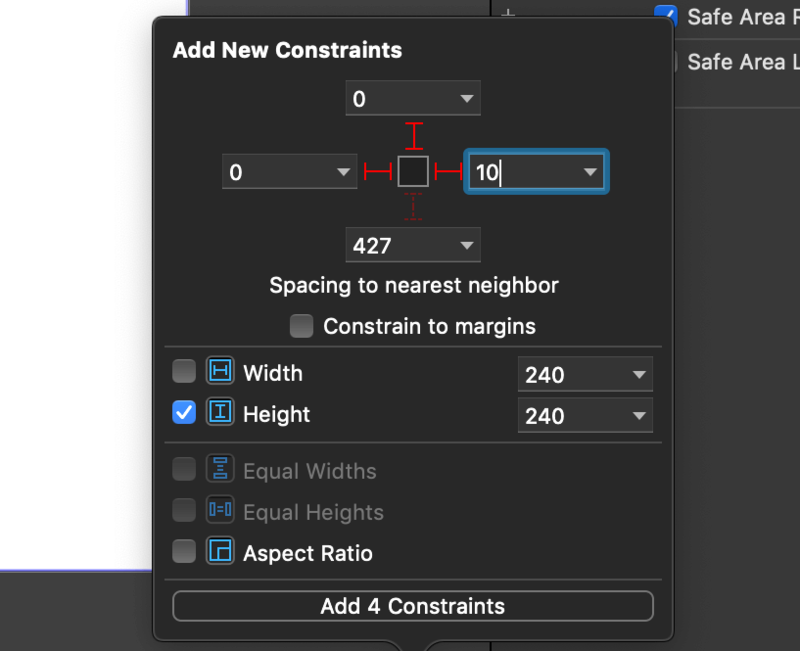 If you have not already noted, constraints are a big part of Auto Layout and to understand Auto Layout, you have to understand how constraints work. We will be explaining constraints in the third part of this series. Can define the relationship between two items. Can define the dimensions of a view. Is calculated at runtime by the constraint engine. Is recalculated when a change is detected both internally and externally. The size and position are inferred by the constraint engine thus making it dynamic. In this part of the series, we have taken the first step into understanding Auto Layout. 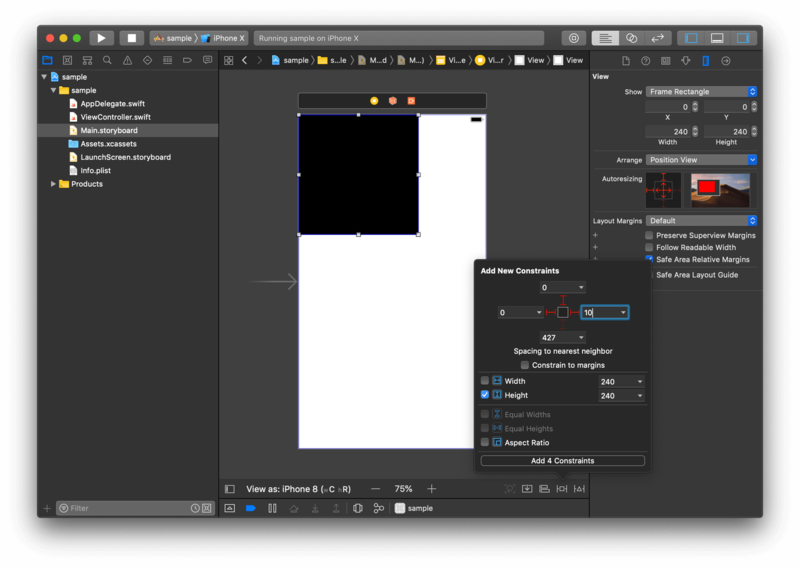 In the next part, we will create a layout using Auto Layout in Xcode. This will help us see how we can create applications using Auto Layout. The source code for the applications built in this series is available on GitHub.